Tanzania government, with support from WWF, has launched the country’s largest ever elephant collaring effort to protect its dwindling elephant population. With almost 90 per cent of the elephants lost over the last 40 years in the Selous Game Reserve, a World Heritage site, enhancing rangers’ ability to guard the remaining ones from poaching is essential to rebuilding the population. Photos and video footage from the first week of the collaring effort are available here. - Selous World Heritage site is facing significant threats. Nearly half of all the natural World Heritage sites are facing increasing industrial pressures to their unique values, putting the livelihoods and well-being of people and communities who depend on them at risk and threatening their long-term viability. Through its global campaign, Together saving our shared heritage, WWF is working to increase the respect for the World Heritage Convention and strengthen the OECD guidelines that protect these sites. 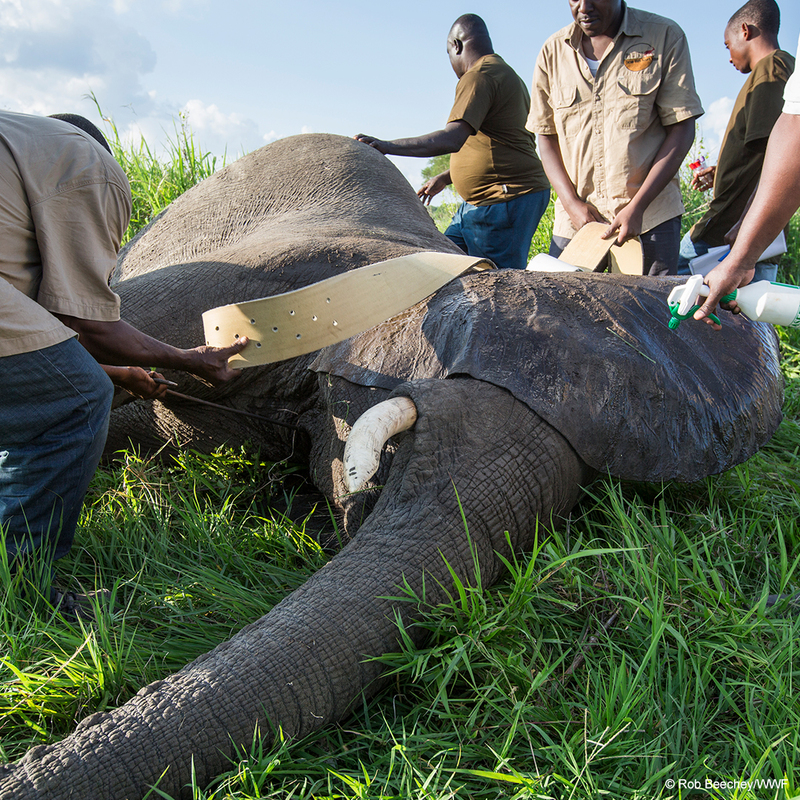 - The collaring programme is being led by the researchers and vets of the Tanzania Wildlife Research Institute (TAWIRI) with the assistance of the Tanzania Wildlife Authority (TAWA) and Tanzania National Parks Authority (TANAPA). WWF is helping facilitate the programme.